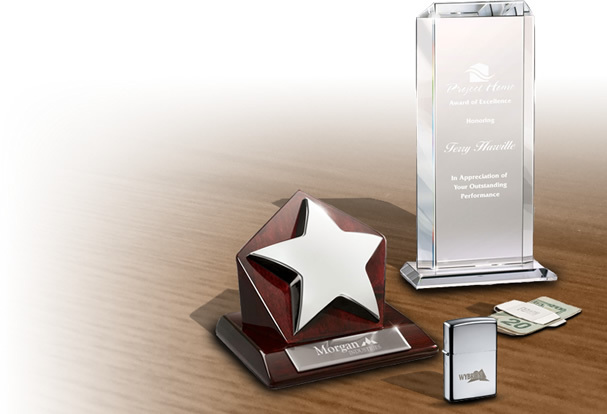 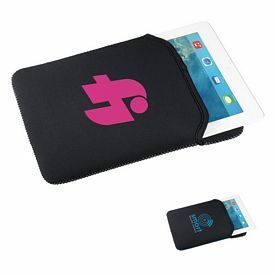 Our company provides promotional Tablet & iPad Accessories that can be customized with your business logo. 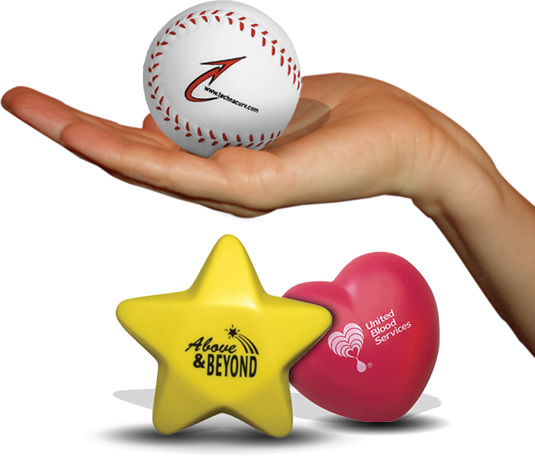 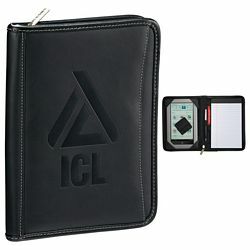 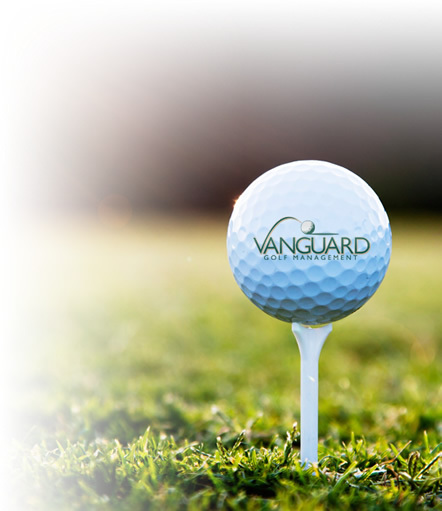 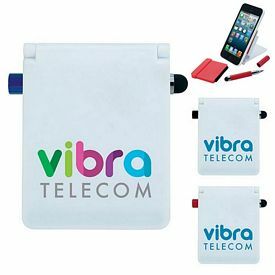 We offer the best in promotional technology products, electronic advertising gifts and Logo iPad Accessories. 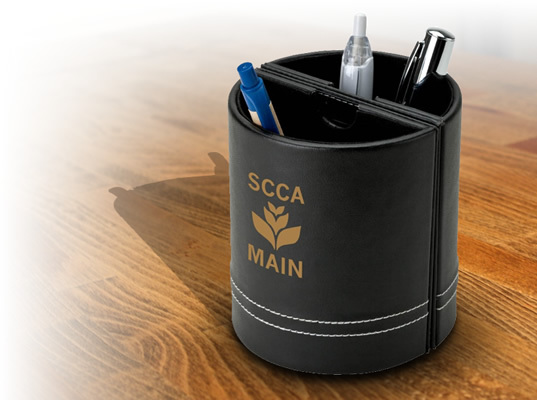 The custom Interchangeable Tip stylus is one of our popular promotional tablet accessories. 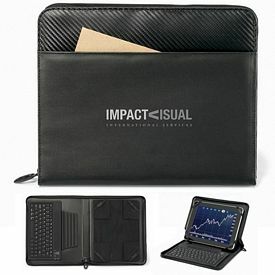 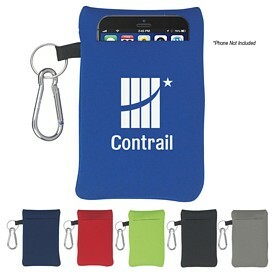 The promotional tablet & iPad accessories can be customized in your preferred marketing style. 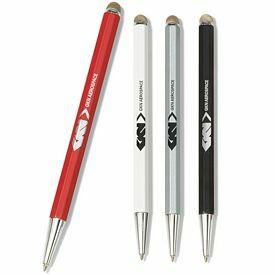 The branded stylus pens come with three soft rubber interchangeable tips. 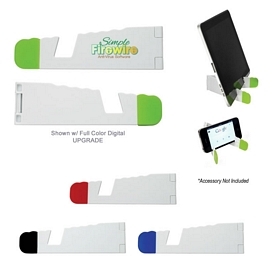 The colors of the tips are black, lime, and light blue. 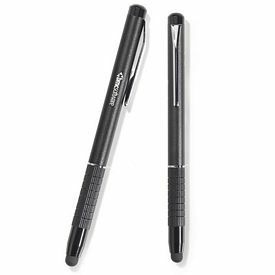 You will never get bored with your stylus as you can screw off and replace the tip when you wish. 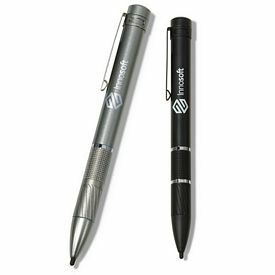 The full stainless steel body of the logoed stylus pens will give a comfort grip. 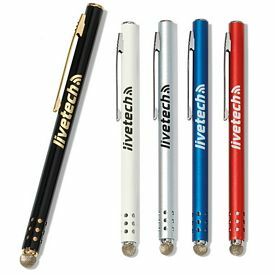 The black or white promo iPad accessories have attached clips which make the stylus pens portable. 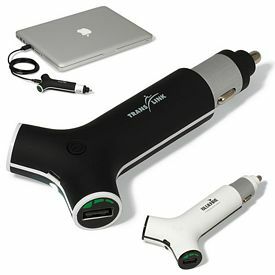 Free 24 hour rush production service is given on the customized tablet accessories. 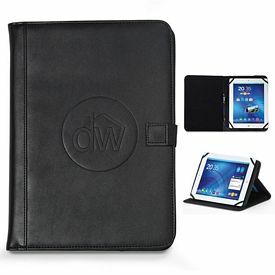 Among our various Advertising Electronics Products, the customized Pedova iPad Stand Padfolio stands out when it comes to utility and style. 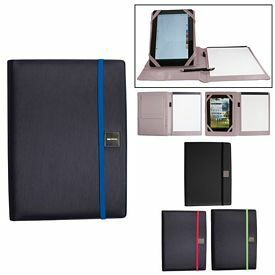 The interior cover of the iPad accessories has a removable easel stand. 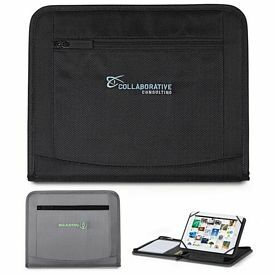 The promotional tablet accessories have amazing features including organizational panel /iPad stand, three pen pockets, stylus or USB memory ports, five business card pockets, 8.5" x 11" writing pad and a receipt or memo pocket. 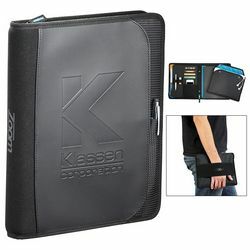 There are two more pen ports on padfolio cover. 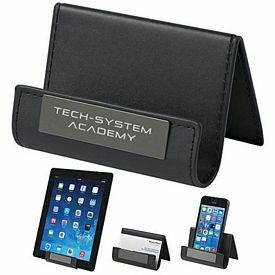 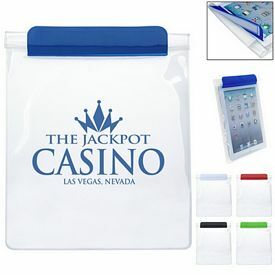 The promotional tablet accessories for marketing can hold iPad 1, 2 and new iPad. 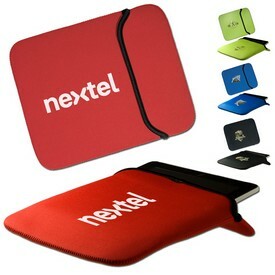 You will get the custom tablet accessories in colors like black, navy or terracotta. 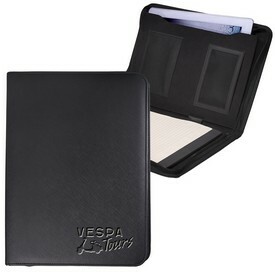 The company logo will be debossed and centered on the front pocket of the Pedova padfolio. 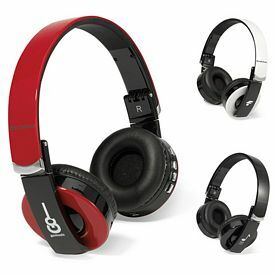 The promotional Mega headphones come in the solid colors black or white. 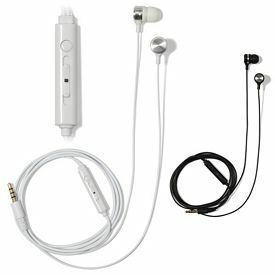 The white branded headphones have blue or red trim. 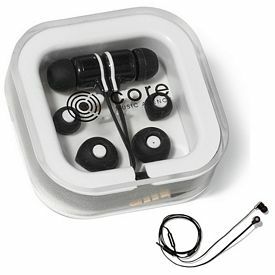 The logoed headphones with plush cushioned ear pieces and ferrite speakers can plug into almost any headphone jack. 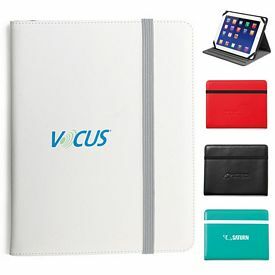 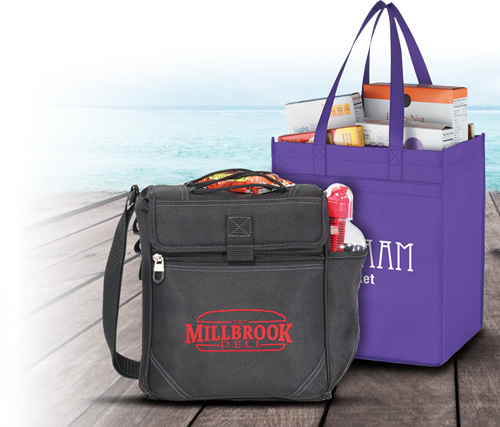 You can do a multi-colored imprint on the customized tablet and iPad accessories at an extra charge. 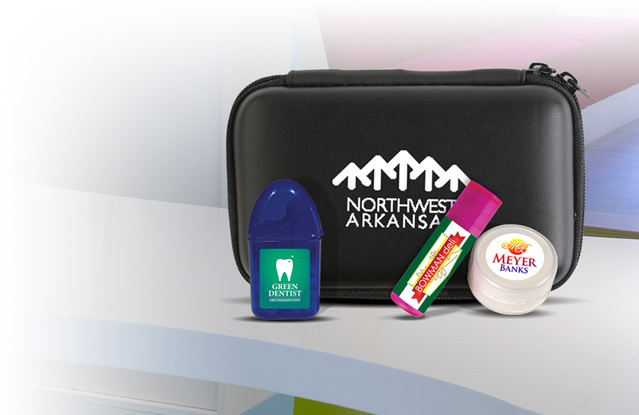 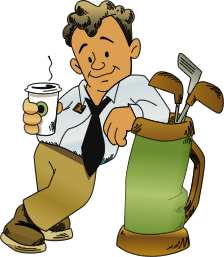 A free 24 hour rush production service is provided on the promotional products. 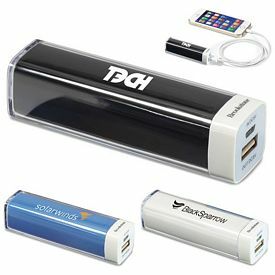 The promo Portable Charger with LED light can be easily included in the elite group of promotional tablet & iPad accessories. 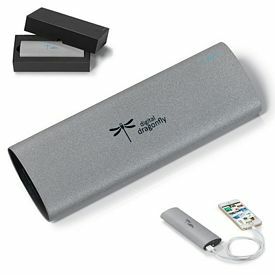 The features are 5200 mAH Battery, USB Output, LED Light, Battery Test Button and Adaptor Cables. 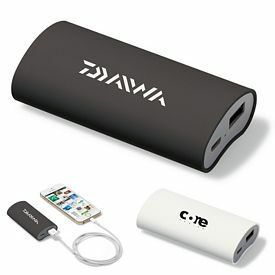 You can plug in your device’s own USB charging cable as well. 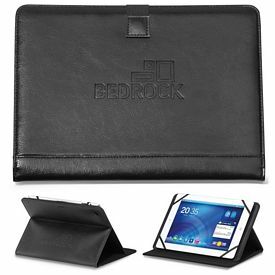 Screen printing is done on the black retro looking tablet and iPad accessories. 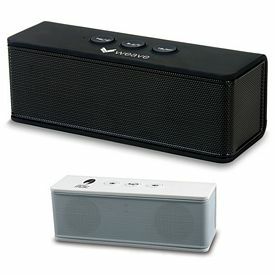 The high definition customized Bluetooth wireless speakers or more commonly called the promotional Nano speakers are a marvel itself. 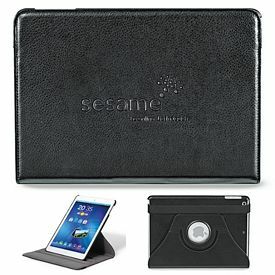 The speakers can be effortlessly paired with your iPad or tablet .Enjoy dynamic sound of the customized tablet accessories. 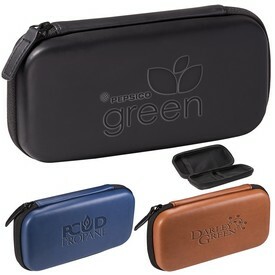 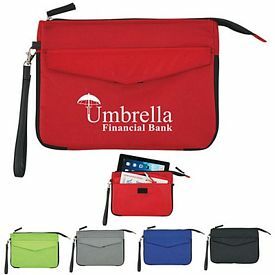 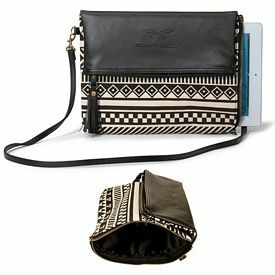 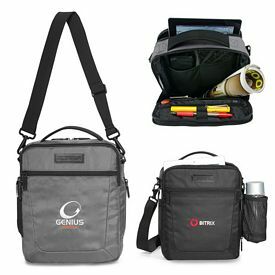 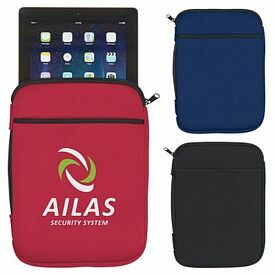 A carrying pouch is given along with the tablet & iPad accessories. 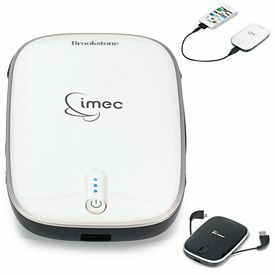 A charging/Audio I/O cord is also included. 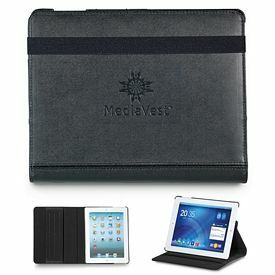 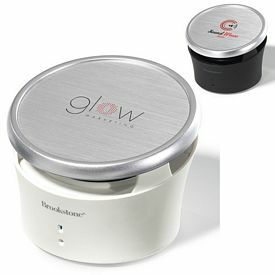 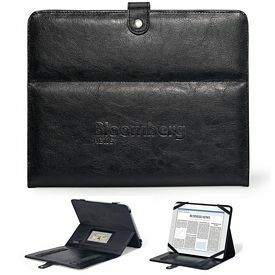 The promotional tablet and iPad accessories are perfect for office events, outdoor activities and housewarming parties. 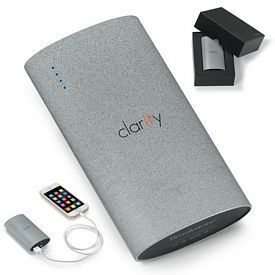 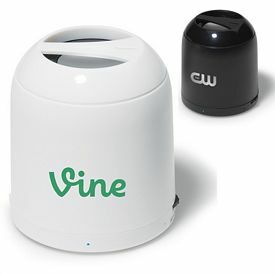 The White, Black, Blue, Green, Red, Orange or Yellow colored nano speakers come with gift boxes. 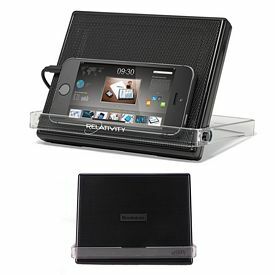 The promotional Desktop Multi-function holder has a triple curved iPad/phone/card/pen holder. 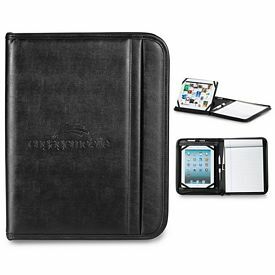 The steel engraving plates gives a touch of class to the custom iPad accessories.